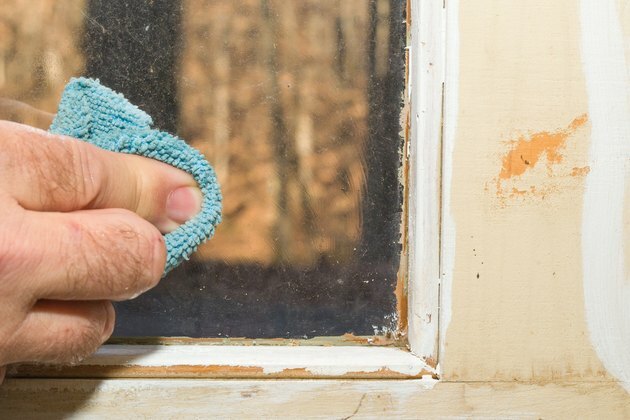 Dried paint, stain and varnish are so easy to remove from clear glass that many painters don't even mask windows; they simply come back a day after painting and scrape them clean with a razor blade. 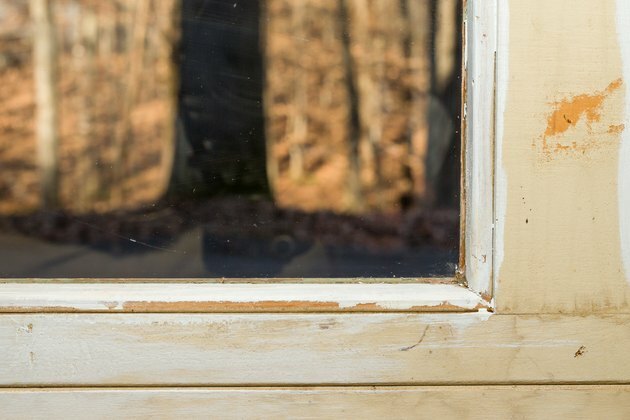 It isn't quite as easy to get stain or varnish off of frosted glass, because scraping this type of glass may damage it. You can safely use strong solvents on frosted glass, though. 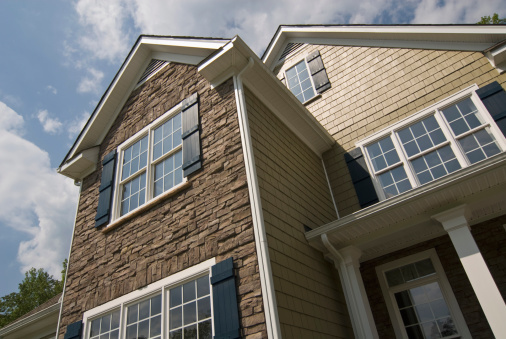 The only caveat is that you must not let a finish-dissolving solvent contact the window frame, or it might cause some damage. 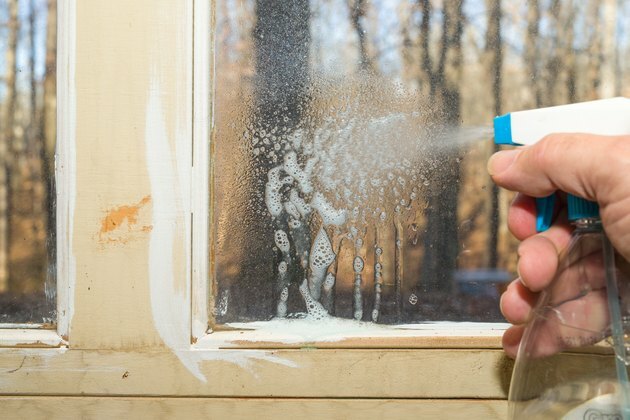 Spray the window with a window cleaning solution. Put a new blade in a razor knife and hold the knife at 20- to 30-degree angle against the glass. 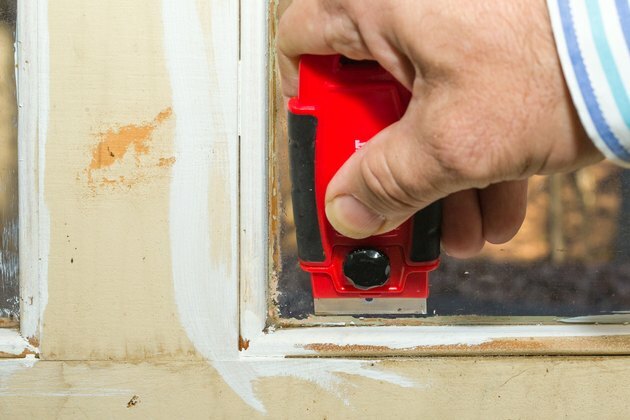 Work the blade under patches of dried stain or varnish, and scrape them off. In most cases, the material will come off easily. If not, spray window cleaner directly on the patch; wait a minute and try again. Spray the window again after the patch is gone, and squeegee it dry. Spray window cleaner or full-strength white vinegar on a patch of dried stain or varnish. Wait a minute or two, and then try wiping the material off the glass with an abrasive sponge. 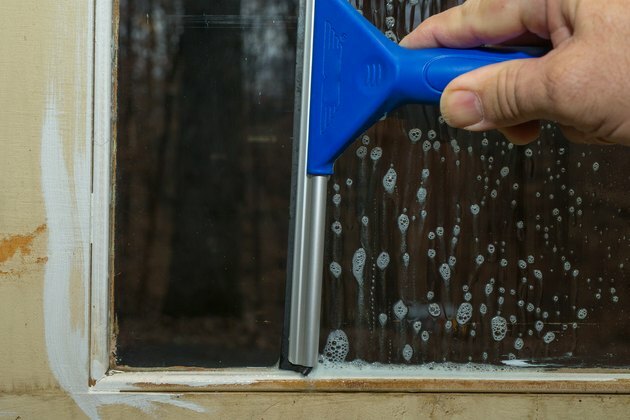 Paint a solvent on the patch with a paintbrush if you can't get the substance off with window cleaner. 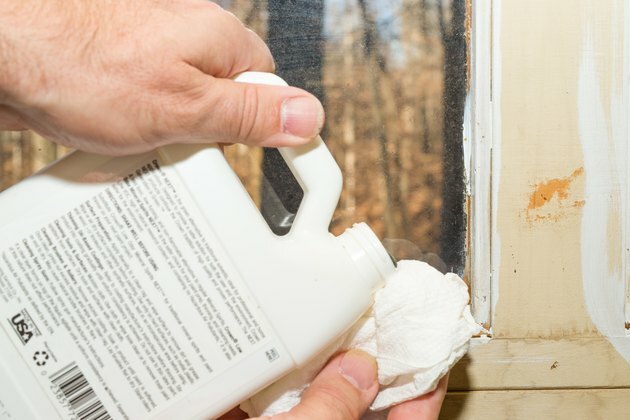 Mineral spirits will remove most varnishes and stains, and won't damage the window frame. 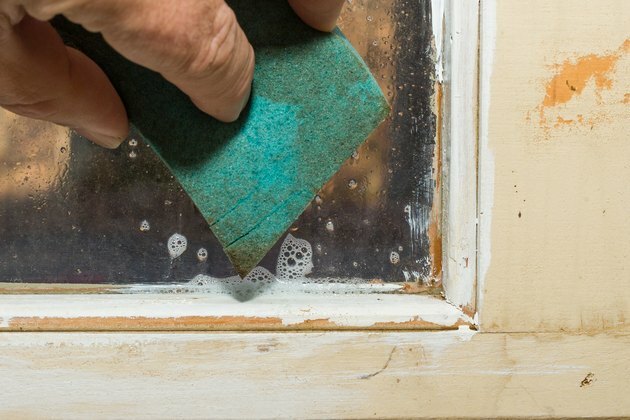 Use acetone or lacquer thinner to remove problem spots, but apply these solvents carefully; they can soften paint and the finishes on aluminum windows. 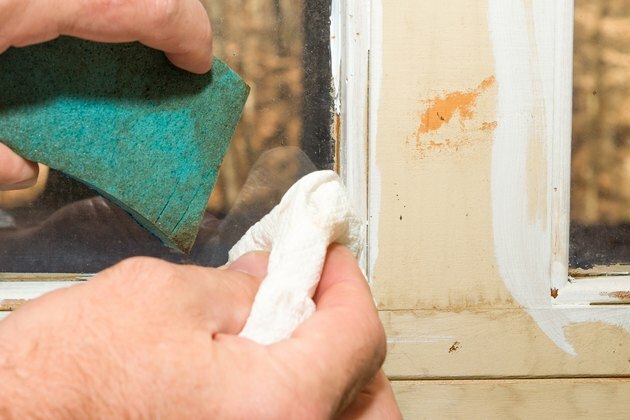 Wipe the patches with an abrasive sponge after you apply the solvent, and then paint more solvent to get the residue and wipe that off after a minute or two. You may have to repeat a few times to get all of it. Wet a clean rag with warm water and use it to clean the glass after the spots are gone.